EDINA, MINN. – Equus Compute Solutions announces the release of its WHITEBOX OPEN™ R1560 server, part of the Equus portfolio of custom, cost-optimized open-hardware server and storage platforms. Incorporating dual Intel® Xeon® Scalable CPUs and new open-hardware features, the R1560 is an ideal compact high-performance compute solution for demanding applications such as content delivery, cloud services, business applications, and virtualization. 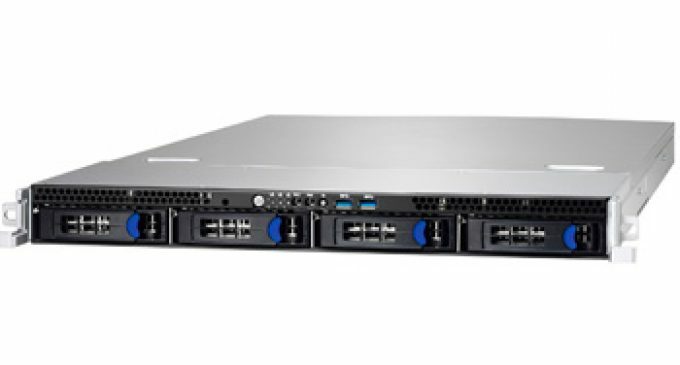 The R1560 server is ideal for content delivery network providers (CDNs), cloud services providers (CSPs), value-added resellers (VARs), and enterprise IT. Equus Compute Solutions customizes white box servers and storage solutions to enable flexible software-defined infrastructures. Delivering low-cost solutions for the enterprise, software appliance vendors, and cloud providers, Equus is one of the leading white-box systems and solutions integrators. Over the last 28 years, we have delivered more than 3.5 million custom-configured servers, software appliances, desktops, and notebooks throughout the world. Our advanced systems support software-defined storage, networking, and virtualization that enable a generation of hyper-converged scale-out applications and solutions. From components to complete servers purchased online through ServersDirect.com, to fully customized fixed-configurations, white box is our DNA. Custom cost-optimized compute solutions is what we do, and driving successful customer business outcomes is what we deliver. Find out how to enable your software-defined world with us at http://www.equuscs.com.